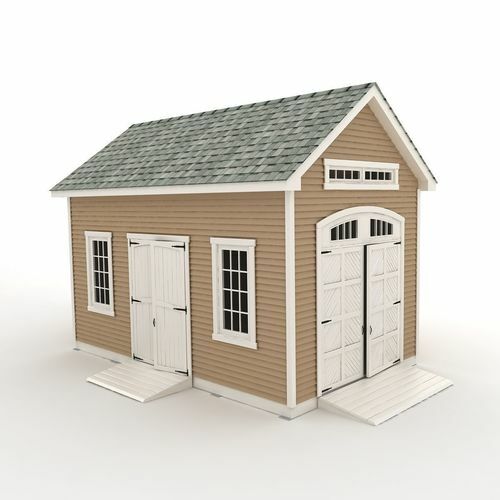 Garden shed 3d model. Model has realistic proportions. Wall covered vinyl siding make by geometry for better close up shots. Vray and standard versions of model included. Textures, also included in archives. Rendered in Vray.